The photos below detail the construction of the foot stool. I will write a second post dealing with the finishing and upholstering. 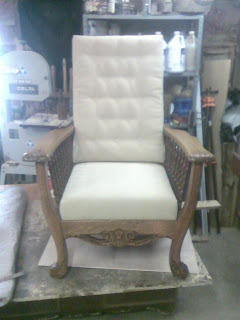 Here is a photo of the restored Morris Chair. After making measurements and drawings based on the Morris Chair I created these two templates. one for the leg and one for the apron. 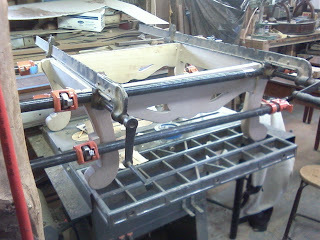 the apron template is flipped to create a mirror image on the lumber. 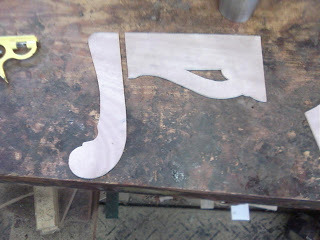 After tracing the templates onto the milled lumber, I cut out the individual sections of the foot stool. 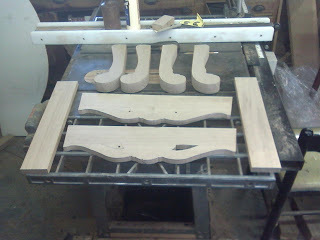 The front aprons were in the process of getting the pierced sections cut out on a scroll saw when this photo was taken. 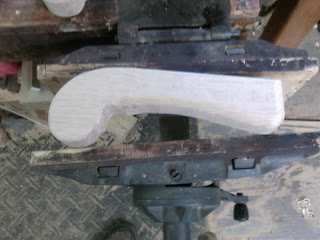 Here is the front right leg after band sawing the initial shape. 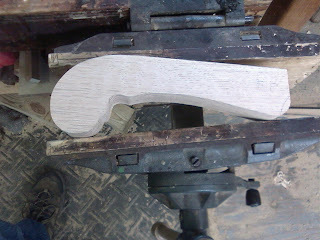 the following photo shows the same leg with the edges softened using a router and gouges. 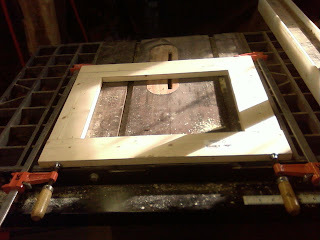 Here is a photo of the foot stool being glued up. the joinery for the stool is doweling which is the same as the original Morris Chair. 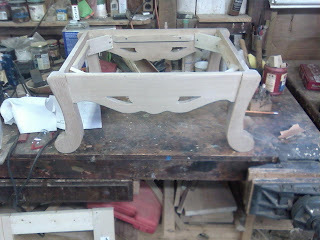 Here is a top view of the stool getting glued up. While the glue was drying I added the bracing for the cushion and the corner blocks. 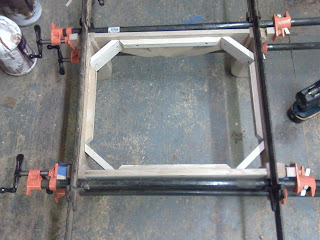 Here is a photo the seat frame for the cushion being glued up. 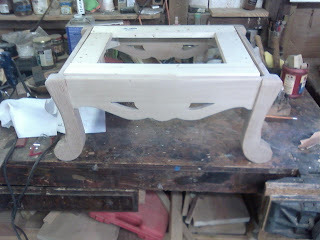 Here is a photo of the constructed foot stool ready for sanding, staining, and finishing. Another view with the seat frame in place.